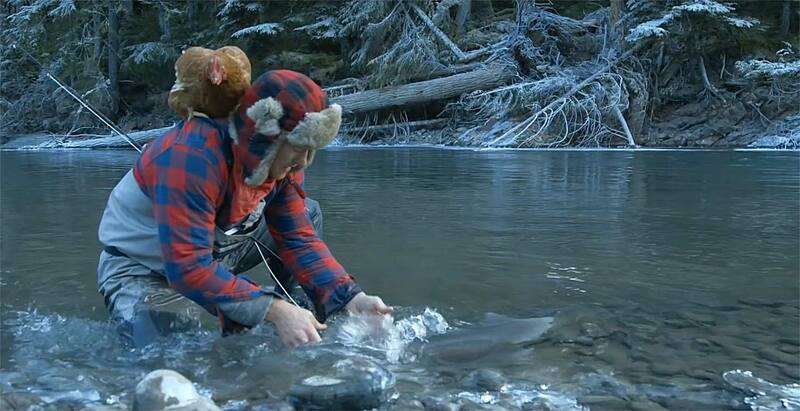 Catching giant steelhead with a pet chicken. The only thing more special than catching a wild steelhead is doing it with the one you love. Sharing the passion with someone special is what fly fishing is all about. It’s a thrill you can feel in your nuggets, and if that someone is a chicken, who are we to judge? This entry was posted in Fly Fishing Lifestyle, Steelhead and tagged Catching giant steelhead with a pet chicken. by Louis Cahill. Bookmark the permalink. Excellent video. Beautiful scenery and a nice fish caught. Thanks to you and Poncho for sharing.